The Total Wellness program provides FREE interactive weight loss classes for Oklahoma County residents to help prevent diabetes and heart disease. Classes meet one hour every week for eight weeks. All class participants have a goal of losing 5% of their body weight and being more active. Classes are offered four times a year (typically starting in January, April, July and October). Daytime and evening classes are available throughout Oklahoma County. 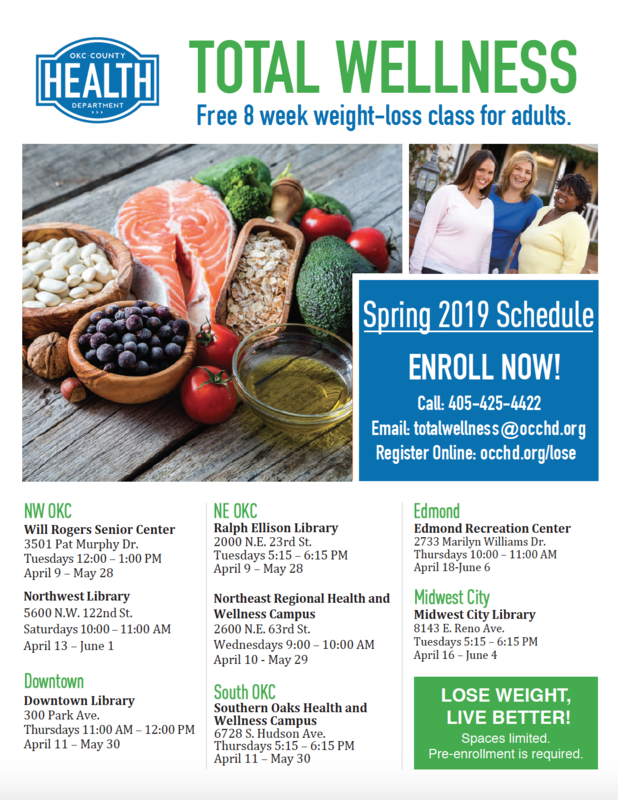 Please give us a call at (405) 425-4352 or email totalwellness@occhd.org for more information regarding the Total Wellness program and enrollment in classes. The program also provides free health screenings to class participants. Knowledgeable staff are available to review screenings results with participants. Referrals are made to health care providers and community resources if needed. Total Wellness classes are offered at no charge (FREE) to Oklahoma County residents. 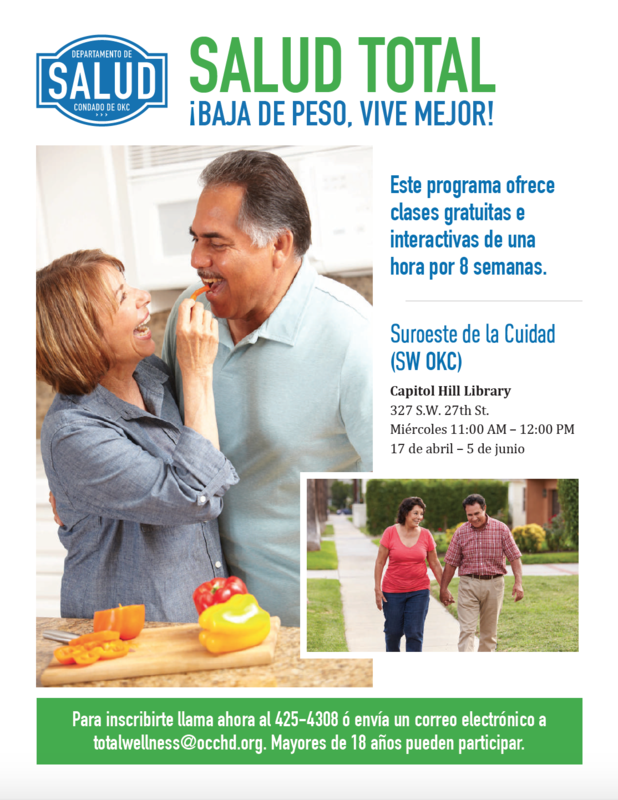 Click the images below to download the English and Spanish flyers.